Plain Chain Harrows are perfect for dung spreading without the aggression of spikes. Also ideal as cover behind direct drill. Just snap and go! 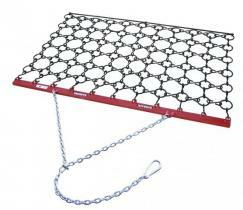 Adjustable chains and quick to hitch snap-carabiner. 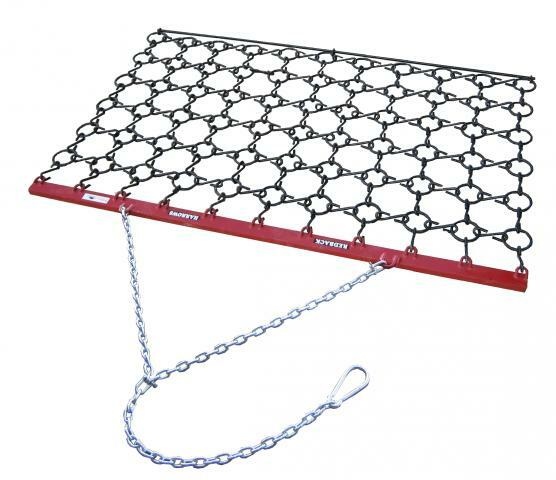 Featuring 1.5m (5') depth and 6 rows, and width options from 2.5m - 4.0m of 12mm chain, High grade steel, wear resistant.